NEW BEDFORD, Mass. 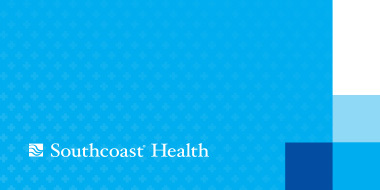 – Southcoast Health System today announced that family practitioner Madeline M. Colón-Usowicz, MD, has joined Southcoast Physicians Group, and Holly Alexandre, MD, at 49 State Road, Pequot Building, in North Dartmouth. Dr. Colón-Usowicz has treated patients in a wide array of clinical settings including outpatient, inpatient and nursing home care. In addition, she has been recognized for her skills in physician and clinical leadership. Her fluency in Spanish and Portuguese enables her to communicate with and educate patients cross culturally on a broad range of treatment and preventive care issues. Dr. Colón-Usowicz received her Master of Science degree in Biomedical Science from the Barry University in Miami Shores, Fla., and holds a Doctorate in medicine from Ponce School of Medicine in Ponce, Puerto Rico. She completed her residency in family medicine at the University of Massachusetts School of Medicine in Worcester, where she was appointed Chief Resident. Dr. Colón-Usowicz is a former National Health Service Corps Scholar. She is a Board Certified Family Physician and will be accepting new patients of all ages including infants, children, adolescents, adults and elderly. To schedule an appointment, please call 508-973-2206.